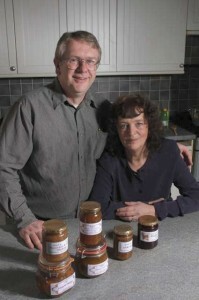 This site is basically run by myself, John Harrison, and my wife Val. I’ve been interested in growing my own food for as long as I can remember and, although not formally trained, benefited from advice from my grandfather. Val has always been interested in cooking, she used to run a vegetarian restaurant, and so we formed a good pair. We were lucky enough to live in older houses with fairly large gardens for years. These always had a veg plot which supplied some if not all of our needs. Then we moved (for work) to a house whose garden was completely covered in concrete which was frustrating to say the least. We couldn’t afford to have the concrete taken up and carted away so we got into container growing. You can’t grow everything in pots but you’d be surprised how much you can grow. Our next move was to a suburban housing estate with a small garden. Apart from some salads and herbs, there wasn’t a lot of space for veg but I noticed an allotment site around the corner. Pretty soon I’d taken on one plot and just about got it cleared when another became vacant so I took that on as well. It took a few years to get the soil into good heart but the addition of literally tonnes or manures and soil improvers meant that when we left the site some 8 years later the plots were much better than we found them. We were lucky in that the allotments had regular deliveries of wood chippings and leaves from the council, both of which did wonders for the soil once rotted down. 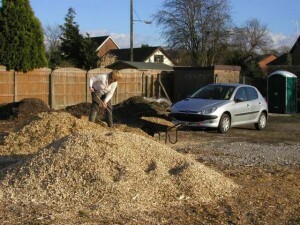 On top of that we also had mountains of turkey litter, basically coarse sawdust with lots of manure, loads of horse manure from local stables and skip loads of municipal compost made from ‘green waste’ The plots must have stood a foot higher when we left than when I took them on. 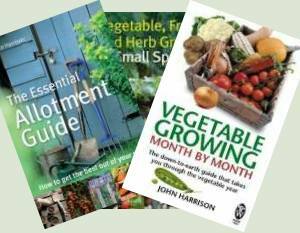 During this time my hobby web site on allotments grew into something quite large and I started writing books on vegetable growing, eventually collaborating with Val to write a book on jam making and one on storing your harvest. I’ve written a number of articles for various magazines and newspapers as well and now my day job is writing and running this web site. We’re planning on writing some more books on various topics related to self-sufficiency but more on those when the words are in the right order! 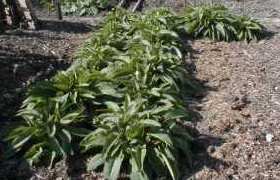 I’m also writing a history of the 8 years on the allotment plot which may be published as a book or go online – it just depends how it works in practice. I was very sad to say goodbye to the plots, they’ve been the centre of my life for years. Not just a bit of land but a community and an anchor. Strangely, I felt nothing on leaving our house except excitement for the new one we were going to but I must admit to being choked up when I locked the allotment gates for the last time.